If you’ve seen the film, you’ve probably felt its overwhelming sense of desperation due, in part, to the European actors who had themselves fled Nazi-occupied Europe. There were 75 actors in Casablanca, nearly all of them immigrants.5 Because some of these actors lived through the events portrayed in the film, there were emotional moments during production. Much has been written about the experiences of Europeans Paul Henreid, Conrad Veidt and Peter Lorre, but today we’re focusing on the lesser-known players in Casablanca. The gallery below features just a few of the actors who fled to America, and lost loved ones who stayed behind. Some actors, like Lotte Palfi Andor, had thriving careers in Europe in the 1930s. But they would be unable to find much work in Hollywood – or re-ignite their careers when they returned to Europe after the war. If you haven’t yet seen Casablanca, we hope you will set aside an evening for this legendary film. There are many real-life exiles in Rick’s Café Américain. ¹Isenberg, Noah. (2017). We’ll Always Have Casablanca: The Life, Legend and Afterlife of Hollywood’s Most Beloved Movie. New York: W.W. Norton & Company, p. 146. ²Lebo, Harlan. (1992). Casablanca: Behind the Scenes. New York: Simon & Schuster, p. 83. 4Isenberg, We’ll Always Have Casablanca, p. 125-126. 6Harmetz, Aljean. (2002). The Making of Casablanca: Bogart, Bergman, and World War II. New York: Hyperion, p. 213. Casablanca: starring Humphrey Bogart, Ingrid Bergman, Paul Henreid. Directed by Michael Curtiz. Written by Julius J. Epstein, Philip G. Epstein, Howard Koch. Warner Bros., B&W, 1942, 102 mins. 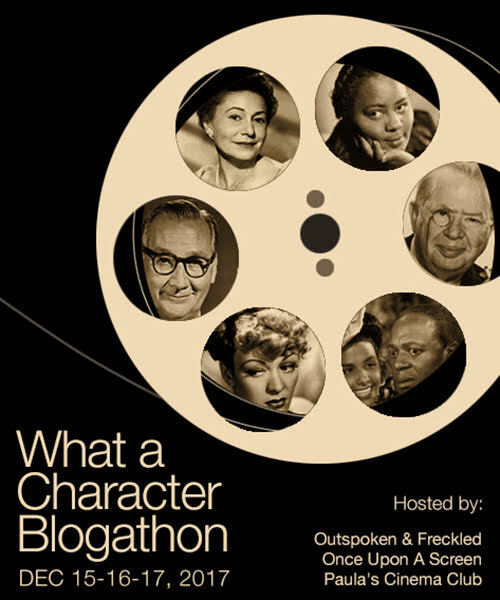 This is part of the WHAT A CHARACTER Blogathon hosted by Outspoken and Freckled, Once Upon a Screen and Paula’s Cinema Club. Previous Announcing the O Canada Blogathon 2018! You can really see it on their faces when they sing “La Marseillaise” – how much that meant to them. Several years ago, I saw CASABLANCA theatrically and that scene got one of the biggest rounds of applause. I agree. Those people singing La Marseillaise do not look like they’re acting. The first time I saw this film, I was in tears during that scene. I saw Casablanca way back in college. It’s a powerful film. Great reminder that it really does reflect real struggles and real people – because it’s real people involved! “Powerful” is a great description of this film. I think it’s one of those films you never forget, no? Agreed! It only takes once to keep it in your mind forever, but you’ll never say no to watching it one more time either! Terrific blog! I didn’t know that a lot of them were actual survivors of the Nazi regime. But I can’t say I’m surprised that most of them teared up during the playing of the French national anthem — that scene does practically the same thing to me! That scene does me in every time. The first time I saw them singing La Marseillaise, I was a mess. It’s so moving. Yes, it’s incredible to think that only three actors in this film were born in the United States: Humphrey Bogart, Joy Page and Dooley Wilson. Remarkable, hey? I love this movie. It never fails to move me, and I must have seen it at least 25 times. I’m always a little bit surprised when everyone says “oh it was just an accident, it is a wonder that it happened.” Yes everything was chaotic, but this was a Dream Team who knew how to write, how to act, how to light, how to use sound, knew great set design. Wallis knew how to put everything together. Michael Curtiz knew how to make it happen with style. I don’t think, really, that it was an “accident.” Thanks. Great write-up. These people are absolutely fascinating and I enjoyed reading about them. That is an excellent point. This film may not have followed the “normal” route through the studio, but these were Grade-A professionals on top of their game. Like you said, Curtis, Wallis & Co. knew how to make it happen. Every time I see this film, I think it’s magic. Great review! That’s one of the things I love about Casablanca–there’s a real-time feel to it. What these people went through during the war was heartbreaking, and this film captured it so, so well. Well said. 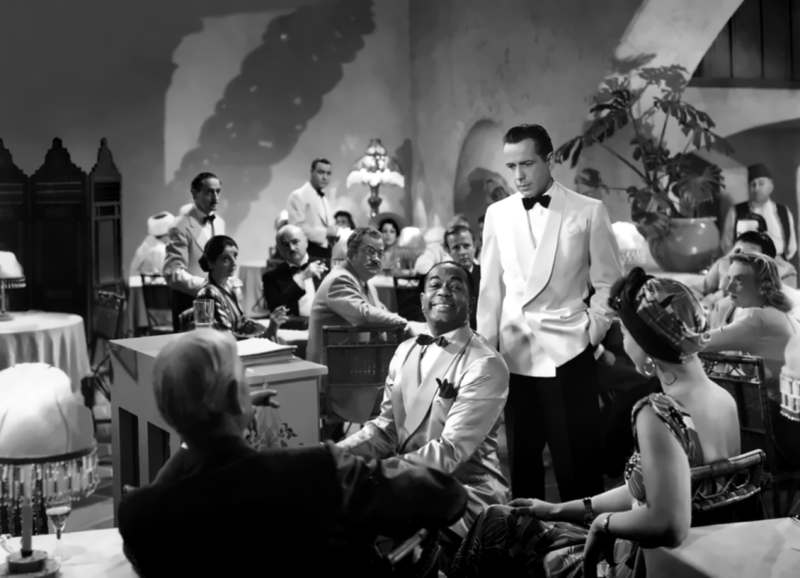 The first time I saw “Casablanca”, it felt authentic but I couldn’t say why. It wasn’t until I started researching it years ago that I discovered all the remarkable stories behind the film. It totally deserves to be a legend, doesn’t it? Some of the great lines in ‘Casablanca’. You’re right – SO many great lines! You couldn’t ask for a more diverse, attractive, well oiled and familiar cast. “Cuddles” steals every scene he’s in. Until the Croupier, Sasha or someone else steals another! Haha! You’re right. “Cuddles” does steal every scene, until someone else does! I love, LOVE that scene where he bumps into the “Vultures” pickpocket in Rick’s Café and then frantically checks his pockets for his wallet. Excellent! One of the many great things about Casablanca. You said it! I love those scenes in Rick’s Café with people from all over the world. It’s so easy to forget this film was made in Hollywood, no? Excellent post! It’s also ironic that many of the actors who played the Nazi officers were actually very anti-Nazi. Also ironic that both Ingrid Bergman and Humphrey Bogart were quite wary of the film (according to Geraldine Fitzgerald) and yet it’s one of the most touching films about WWII ever made. I think they were seeing it more as a shmatzie romance than a powerful film about resistance and fighting tyranny. You’re right – Conrad Veidt’s determination to stand against the Nazi regime (even donating funds to the Brits!) is a remarkable story. I didn’t realize Bogart also had a bit of a dim view of the film at the time. You would never know it from watching his performance…the hallmark of an acting legend. A perfect concept, beautifully and emotionally realized. The presence of these actors are a part of the special magic that is Casablanca. Beautifully said. 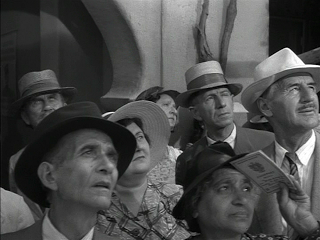 Casablanca wouldn’t be the movie it is if the bit actors were North Americans with phoney accents. The actors cast in this film give the scenes such richness, don’t they? There’s a reason why this film is one of the most beloved classics of all time. It’s in large part thanks to the authenticity of those beautiful refugees, as you point out. So many stirring performances. Thanks SO MUCH for joining our blogathon! You’re always a welcome contributor, Ruth! Thanks, Kellee! Like Julius Epstein said, Warner Bros. had a brilliant casting department, and it really shows in Casablanca. That scene where they sing La Marseillaise makes me teary-eyed every time, and it’s because of those actors. A splendid article! Might I reblog it, please? Oh yes, please! And thanks! A very enlightening post. As many times as I’ve seen CASABLANCA, it never occurred to me that many members of the cast were “refugees” from their native countries, too. And I agree that the cast makes all the difference in this classic! Thanks, Rick! I think the supporting cast is one of the reasons this film is so re-watchable. That, and Captain Renault’s wit! ***Over at Silver Screenings, Ruth recently posted a splendid piece about an aspect of Casablanca that I’d never really thought about. She has kindly permitted me to reblog it here. What a great post – you really touched on one of the elements that makes this film so stirring. The cast really lends authenticity to the film, don’t they? The scenes in Rick’s Café, to me, almost have the same feeling as a crowded international airport, if that makes any sense…? What a great idea for a post! I had heard a tiny bit about this casting, but had not heard the whole story before, so thank you. The contributions and stories of these actors deserve to be better known. As others have said, they are part of the fabric that makes the film so special. Wow! Thanks! That is awesome! Given that I love Bogart and Ingrid how is it I still haven’t watched Casablanca? This festive season may be the perfect time to sample its delights, with a fresh insight thanks to your post. Fascinating post, now I understand a little better why watching Casablanca is such an experience and gets better with multiple viewings. You said it! Casablanca really does get better with multiple viewings. This is such a sadly beautiful topic, a lovely insight to people who suffered due to the war, and ended up playing out a similar experience in this movie. ‘Casablanca’ is one of my all time favourite movies!! Thank you for this post!! They had to re-shoot the scene where Bogart & Bergman are at the café a few times because one extra was in tears. She and her husband were in Paris on that day. I can’t imagine living through those experiences then re-enacting them in the film. No wonder the Marseillaise scene is so emotional! Thank you so much! Casablanca is one of my favorite classic films and having this information will make my next viewing of it a fresh one. There’s a lot of interesting behind- the-scenes info to Casablanca which, like you mentioned, makes a person appreciate it all the more. I love classic movies. It’s like time travel. I’m glad I’ve found a blog that discusses them so knowledgeably. If I’d known about your blog before I posted my Mystery Blogger Award I would have given it a nomination. Perfect, beautifully and emotionally feeled. what a magic !!! I agree that the casting made Casablanca memorable – and you did a wonderful job showcasing the actors who were real refugees. I can’t imagine the pain and suffering they’ve lived through – always hoping for a bettr tomorrow. Good point, Le. I can’t imagine what it would be like to live as a refugee. I am very lucky to be a Canadian and not have to flee from place to place, fearing for my life. Casablanca always reminds me of that. A book titled THE CASABLANCA MAN (The cinema of Michael Curtiz) by James C. Robinson reveals how much and how fast things changed on the fly from the time Warners purchased screen rights at the end of 1941. 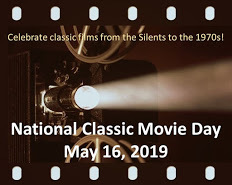 Examples: the Epstein brothers weren’t the originally assigned writers, and Ronald Reagan and Ann Sheridan were the publicly announced intended lead actors (after which Hal Wallis wanted Hedy Lamarr as the female lead until MGM refused to loan her out). 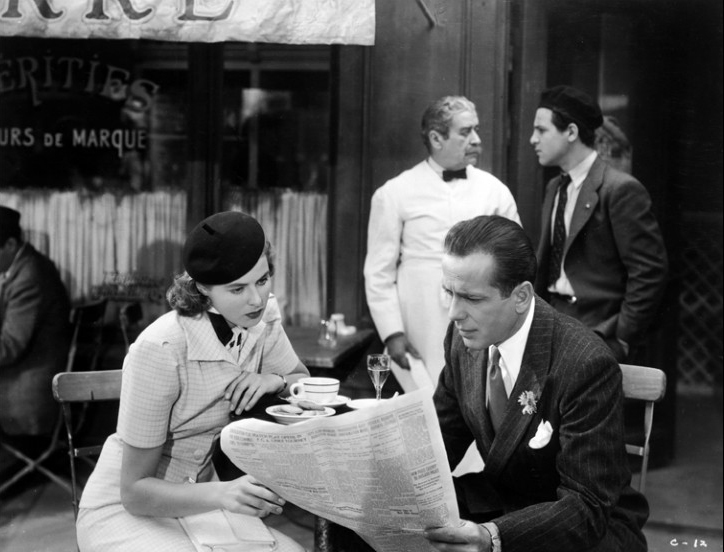 You’re absolutely right – things changed quickly on the Casablanca set. The books I referenced talked about that as well. It’s a fascinating story in itself, isn’t it? I wonder if a movie about that has ever been made… Do you know if that’s the case? Wonderful piece. It’s nice to revisit Casablanca, a film I haven’t seen for a few years but one I remember fondly. The casting is one of its real glories. What I didn’t realise is the sheer scale of those who had witnessed the migrant experience first hand. The performances of the main stars certainly deliver on the promise and I’ll never grow tired of seeing Bogart and Bergman so beautifully lit in Cafe Americain but it’s fascinating to hear the experiences of the unsung heroes of the cast. And that’s clearly another reason why Casablanca resonates as well today as it ever did. Thanks for sharing the link where you recorded your impressions of Casablanca. I’ll be by later this weekend to check it out. What a classic! Excellent post I didn’t know half of all that especially that most of the actors were immigrants. The backgrounds of these actors give the film an international atmosphere, doesn’t it? It doesn’t feel like the usual Hollywood production.